We are one of the longest, most established Hilleberg retail partners in the country. Our range includes best selling models such as the Nallo & Akto, but also covers newer designs like the Rogen and Anjan. If there are any Hilleberg items you are looking for which we don't have, please contact us to discuss the possibility of a special order. How much? - Why a Hilleberg tent is an 'investment' not just a new tent! For lightweight but durable backpacking, wild camping and multi day trips a Hilleberg tent is a fantastic shelter that's worth considering investment in. I say 'investment' as Hilleberg are built to last and whilst the initial cost is higher than a lesser model, not only is the likely life expectancy is considerably longer, the performance is superb too. Hilleberg has built an enviable reputation for lightweight performance in the tent market and as a family run and owned business they celebrated their 45th anniversary in 2016. Quality - Made in their own factories in Estonia, Each Hilleberg tent is individually pitched, inspected and approved before leaving the factory to maintain the high standards of manufacture and quality that the reputation is built on. 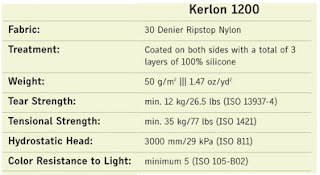 Materials - Fabrics -The Kerlon fabrics resist the ageing process of UV light degradation better than any fabrics we have seen on tent models of a similar type and the construction of seams, taping of floors etc means it's rare to see a fault on a tent, even after significant use. Below is the spec table for the Kerlon 1200 fabric, used on the Akto, Nallo & Kaitum range we stock, what's apparent from the spec is that Hilleberg make a lot of noise about tear strength as much as HH (hydrostatic head). HH is waterproofness measured in a lab, anything over 1500 is waterproof whereas tear and tensional strength are more real life measures of how strong the fabric is. If you are a serious camper and count the 'days under canvas this year' always trying to beat last years number then damage, wear and tear is of course part and parcel of dealing with your gear. For this Hilleberg offer a repair service based here in the UK through trusted partner Scottish Mountain Gear that's fair on price and uses quality materials to get your tent back in to service. Worthwhile knowing for the future that the brand supports the 'long term view' with customers. 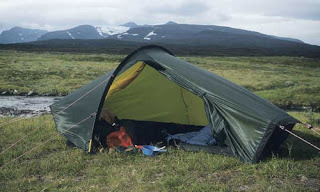 Very occasionally tents can also be sent to the Hilleberg factory in Estonia for repair also. 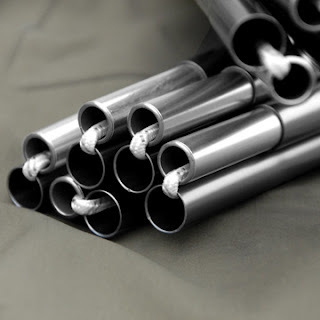 Materials - Poles - DAC poles are a quality addition to any tent spec and whilst they are not exclusive to Hilleberg the DAC Featherlite NSL poles that they use are at the top of the spec line up and match the aims of the Hilleberg product to be the best you can buy. The DAC Featherlite NSL poles are super strong and constructed with a thinner pole wall diameter, this allows the inserts that connect the poles together to be almost the same diameter as the pole itself. A major place for pole damage of standard tent poles, the joint is made stronger using this method. The result is lighter and stronger poles. Simple! The actual diameter of the poles varies by model with 9mm used on the lightweight Akto, Nallo and Kaitum range we major on. Choosing between the Nallo and Kaitum range is one thing that customer's ponder over. The Nallo is the lightest, simplest design, one porch, less ventilation but smaller pack size and weight, the Kaitum's are enhanced by double porches, better venting and still get to some superb low weights. Fabric and Pole spec is the same across the two ranges. Described as a 'do anything' tent earlier the Hilleberg Akto has been a consistent best seller in it's category season after season. If ever a tent sets the standard for a quality lightweight 1 person tent then the Akto does. With enough room for 1 + gear, strong, reliable and well under 2kg the Akto is perfect for long trips in wild places all over the world. Remarkably spacious for one, the additional stub poles at the ends add more volume and the vent options make it suitable for year round use. Recommended. You can see any of the Hilleberg tents in our stores, Exeter and Bristol stores have dedicated tent rooms and if we don't have the model on display they will happily pitch one quick as a flash! Taunton store don't have a tent room but can push back a few clothing rails and pitch any of the range no problem. If you are thinking of making a special visit it's best to give them a quick ring or send a quick email to check they have the tent your looking for in stock. For customer buying online then please feel free to contact us for more info or guidance.